Black August, Hip-Hop and Political Symbolism - iMWiL! Prison has long been central to the maintenance of a racial, social and class structure in the United States. Prisons are used like society’s credit card. Societal contradictions which generate enormous wealth and inequality are masked by mass incarcerating those forcibly removed as a result just as credit cards mask the contradiction of stagnant wages for labor and enormous production of goods, services and wealth for bosses and owners. Thus, prisons, jails and their captives (both real and employed) are everywhere. Prison has long been central to the maintenance of a racial, social and class structure in the United States. Prisons are used like society’s credit card. Societal contradictions which generate enormous wealth and inequality are masked by mass incarcerating those forcibly removed as a result just as credit cards mask the contradiction of stagnant wages for labor and enormous production of goods, services and wealth for bosses and owners. Thus, prisons, jails and their captives (both real and employed) are everywhere. The imprisoned answer our customer service calls, produce our furniture and clothing and – with their ancillary associates in policing and the courts – exist as fodder for a media industry that reproduces cop dramas, sitcoms, prison stories and documentaries at dizzying rates. All that product makes a ton of money for those [prison, media, etc.] industries but more importantly set the norms and definitions of who are “good,” “innocent” or simply just in their presence. It is the attempt at all this masking which continues to make the annual commemoration of Black August so important, threatening and absolutely necessary. It is a time to fast, train, study and reflect on the importance of past examples of struggle that may inform the present. It can also be a time to reset standards by which we judge the state of those struggles or the conditions of the people involved. Black August calls into question the very nature of the state and its attempt to retain its subjects in what it defines as their state of nature. Black August is all that the state abhors; humanity, dignity, principle and adherence to so many of the state’s hated isms; pan-Africanism, socialism, communism, intercommunalism. Black August reminds of traditions of militancy and responses to oppression which are seen as unacceptable by a state that wants its victims to be both oppressed and only willing to respond to that oppression in sanctioned ways – all the evidence of which we need and unfortunately still have is found in the continued repression, imprisonment and exile of U.S. political prisoners so many of whom come out of this Black August tradition; Assata Shakur, Mutulu Shakur, Sundiata Acoli, Imam Jamil al-Amin (H. Rap Brown), Mumia Abu-Jamal, Leonard Peltier, Russell Maroon Shoatz to name but a few. That this August takes place amid what many consider to be a unique electoral moment in the U.S. and the tendency to have that dominate the focus of so many seeking change, a reseting of the standard could not be more timely. The nominal “Left” in the U.S. is in full swing defending their indefensible candidate as only not being Donald Trump. But this neoliberal, hawkish femme is no friend to the people’s struggle. Clinton represents well the interests of what has been affectionately called the “liberal wing of the ruling elite.” But she, like her political party, is skilled at masking that allegiance to power and presenting herself as representing the interests of the majority of those abandoned by the super white and male Republicans. And she knows it. One particularly open and pernicious example came while Clinton served as Secretary of State when she openly and proudly proclaimed her extension of prior abuses of jazz as a global export of the state meant to cleanse its image. Clinton’s point, send Black rappers around the world – many of whom are indeed radical and consequently never heard or seen in commercial U.S. media – to take part in the “War on Terror” by improving “poor perceptions” as part of what she saw as a “complex game” of “cultural diplomacy,” one she described as “multidimensional chess.” When asked if hip-hop would a “chess piece” Clinton said, “Absolutely!” Of course, this is better understood as cultural warfare, itself an extension of policies long engaged by this (every?) state looking to maintain a particular social order. I would say that being around 30 years and being in operation in many, many states, and also doing work with the federal government going back to the 1980s, where you had Clinton White House, you had a Bush White House, you had Obama White House, we’ve done very, very well. Clinton’s statement regarding the use of hip-hop to cleanse her country’s earned negative image in the world and her up to the moment support of the prison industrial complex is further important to note because as emcee and writer Homeboy Sandman has made clear the largest investor in CCA, the Vanguard Group Incorporated, is also a major investor in two of the largest pop culture creating mega-corporations; Time Warner and Viacom. While Black people increasingly go to prison to drive one industry another is assuring Black popular image is wedded to the concept of them as deserving said treatment. And this is also why the roll call of political prisoners should be buttressed by a similar one of hip-hop and art supporting their release and an end to mass incarceration itself. There is, but for a few examples, the wonderfully documented work of MXGM and its hip-hop Black August project by Dream Hampton highlighting the work of artists like Dead Prez, The Roots, Common and Talib Kweli. There is Rebel Diaz, Lah Tere, Invicible, The Cornel West Theory, Head-Roc, Tef Poe, Marcel P. Black and those appearing in our George Jackson: Releasing the Dragon Video Mixtape; Slangston Hughes, Laini Mataka, Umar bin-Hasan, Malcolm and Son of Nun. Black August is a creation of and politics invested in the prison system. Black August is a programmatic and symbolic defense mechanism and inspirational tone setter for future study, struggle and victory. Black August is an appropriate reminder that too little has changed in the lived experience of African people in this or any hemisphere. And Black August is a call to, as Bob Marley once called, “Want More!” Our standards have been forcibly and inappropriately reduced, want more! Black August reminds us that we do and we will have it! Venceremos! Jared A. Ball is a father and husband. After that he is a multimedia host, producer, journalist and educator. 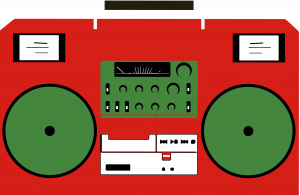 Ball is also a founder of “mixtape radio” and “mixtape journalism” about which he wrote I MiX What I Like: A MiXtape Manifesto (AK Press, 2011) and is co-editor of A Lie of Reinvention: Correcting Manning Marable’s Malcolm X (Black Classic Press, 2012). Ball is an associate professor of communication studies at Morgan State University in Baltimore, MD. where he holds a Ph.D. in Media Studies and a M.P.S. in Africana Studies. He and his work can be found online at IMIXWHATILIKE.ORG. Previous Pam Africa and the Fight for Mumia! I would love to read more thanks.